Used Items are items that you purchase from a vendor or a client which are used. From the List of used items you are able to view, print, edit, delete, sell, print reports and print labels for the used items you have in your inventory. Then, click on the used item icon. 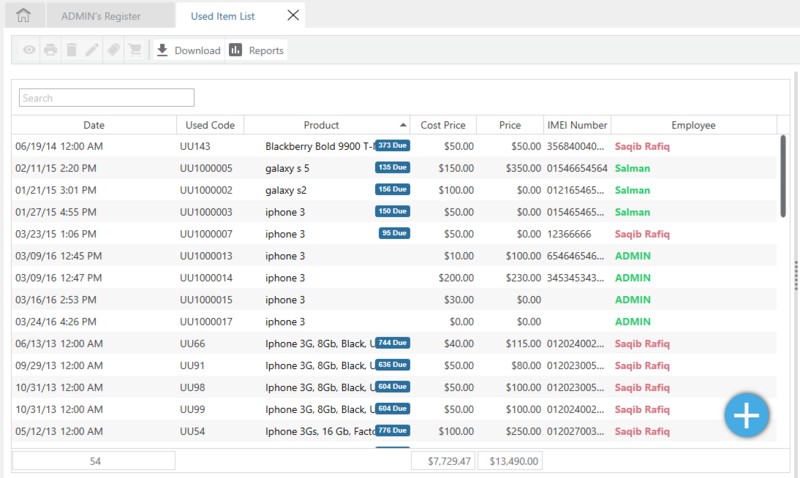 From the list of your used items, you can enter the Name, used code or the IMEI number of the product in the search field and the software will yield all the invoices related to the search. OR you can search for a used item manually by scrolling down the list. Select your used item from the list. Click on the Eye icon from the options above to view the item. Then, click on the Used Items icon. Click on the print icon to print the Used Item. Select the Used Item from the list. Click on the Pencil icon to edit the used item. Add more products: To add more products to the purchase, enter the IMEI code/ name of the product in the item code field then select the product and click the shopping cart button to add it to the invoice.Click checkout and save after making changes. Change the Cost Price: To change the cost price of the items you have added to your purchase, you may select your item from the invoice then enter the new price in the cost field. Click checkout and save after making changes. Add a product image: To add an image of the product you may click on the small camera icon within the item code and upload an image of the product through your computer and click checkout and save after making changes. 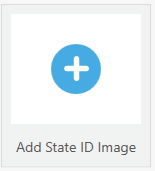 Add Customer's State ID: You can add a customer's state ID information by clicking on the add state ID option and uploading an image of the ID from your computer. Add Customer's Image: You can add a customer's image by clicking on the add customers image option within the customer information box on top and uploading an image of your customer through your computer by clicking on the add image option. To save changes click on checkout and then save. Customer Notes: The customer notes field can be used to save internal notes. There notes will not be printed on the receipt and will not be visible to the customer. To save the notes click on checkout and then save. Description Box: Details regarding the purchase or the products that are being purchased can be entered in the description box.To save the notes click on checkout and then save.